Trey Traylor is a singer and social media personality based in Detroit. 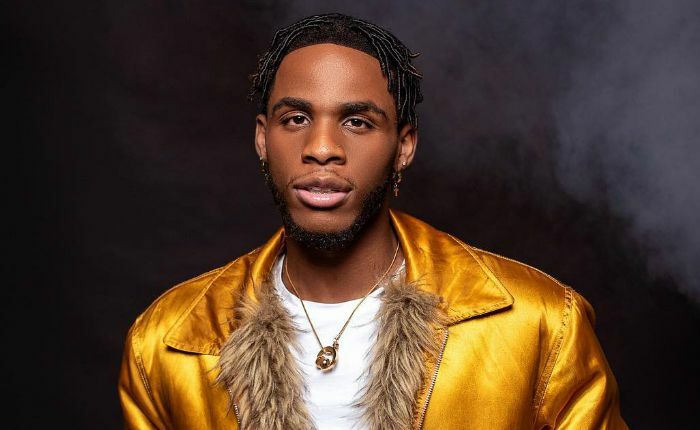 He and his brother, Armon Warren, are actually talented youngsters and they together run a YouTube channel where they showcase their singing talents. They have garnered over 3 million subscribers on “Ar’mon And Trey” YouTube channel. The brothers had their start on Vine, where they accumulated a significant following and after Vine shutdown, they transitioned to YouTube and Instagram. Trey has over 1.5 million followers on Instagram. Trey Traylor was born on November 25, 1998, in Detroit, Michigan, United States. The Instagram star hasn’t revealed anything about his educational achievements and thus we are uncertain whether he completed his high school studies or not. His mother name is Shiquita Hathaway. Including his brother Armon Warren, he has five siblings. His other brother name is Dwight Burton, who is a good basketball player. Trey prefers not to reveal anything about his private life including his present or past relationships. Looking at his Instagram feed, we can say that he has a girlfriend. His signing talents and string presence on social media platforms. Trey’s net worth is estimated to be around $500 thousand dollars. Trey discovered his passion for music at a very young age and started to perform alongside his brother Armon. They joined Vine in early 2010s. Not long after they started posting short videos of popular cover songs, they gained immense popularity on the platform and so the followers. The brothers created a YouTube channel “Ar’mon And Trey”, in December 2014, and they uploaded their first video, titled ‘Ar’mon And Trey – The Same (So Gone Challenge)’ on August 26, 2016. Initially, their videos started to pull thousands of views and in no time, each video started receiving over million views. Trey and his brother posted cover songs by artistes, such as Chrish, Usher, and Drake. In addition, they alos posts their original music. Some of their most popular songs are ‘No Strings’, ‘Breakdown’, and ‘Drown’. The brothers have their own Internet store called ‘Thug Ave’.